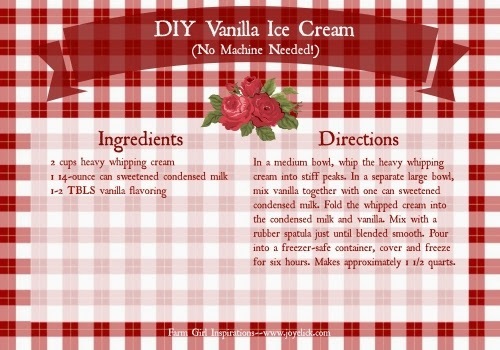 Fast, easy homemade ice-cream recipe! (You'll love this). 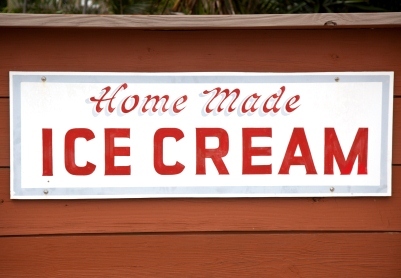 Remember old fashioned homemade ice cream? 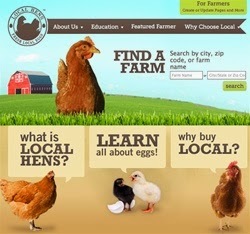 Back on the farm when I was little, we enjoyed many Sunday afternoons picnicking on the lawn. 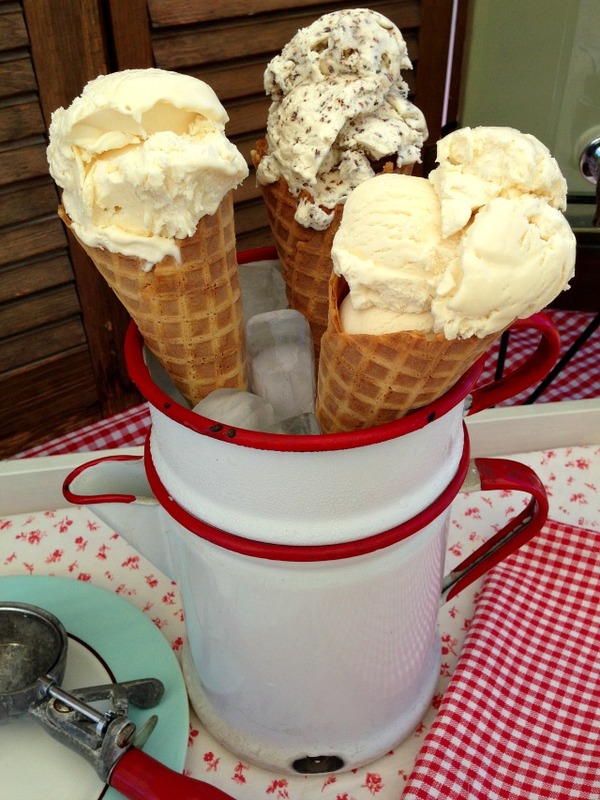 One of my best memories is homemade ice cream! 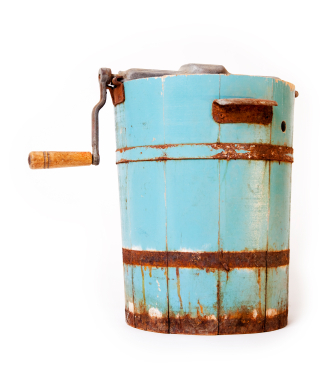 Daddy had an old wooden churn you cranked by hand. My sisters and I, and our gang of friends, would take turns cranking the handle, grinding the canister around in the ice and rock-salt for what seemed like forever--but it was always worth it. Very nostalgic. Great news! I've discovered an easier way to make DIY ice-cream. No churn. No ice. No rock salt. It only takes three ingredients, fifteen minutes of prep time, six hours freezer time, and you're set for a backyard HOMEMADE ICE CREAM PARTY--No sweat! Are you ready? Well, come on! Throw on an apron and let's gather in the kitchen! * To make plain vanilla ice cream, simply omit the chocolate bar. For more variations, see the recipe cards below. 1. In a medium bowl, whip the heavy whipping cream into stiff peaks. 2. In a separate large bowl, mix vanilla together with one can sweetened condensed milk. 3. Grate the dark chocolate candy bar into medium shavings and stir them into the condensed milk mixture. 4. Fold the whipped cream into the condensed milk and vanilla. Mix with a rubber spatula just until blended smooth. 5. Pour into a freezer-safe container, cover and freeze for six hours. Then, mmmm, taste the creamy goodness. Beats store-bought any day! 1. 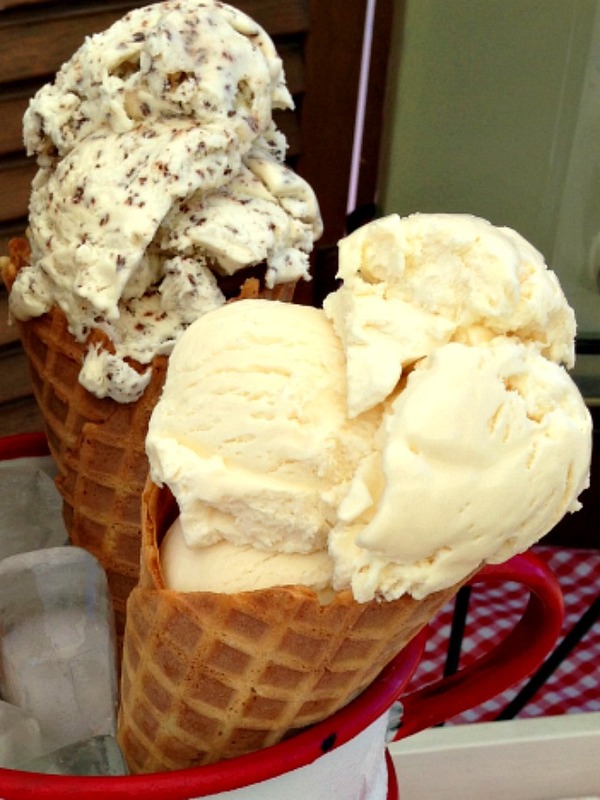 Plain vanilla: To make plain vanilla ice cream, you need only the heavy whipping cream, sweetened condensed milk and vanilla extract in the same measurements as the chocolate chip recipe above. To make variations, you'll add any add-ins to the condensed milk before folding in the whip cream. 3. 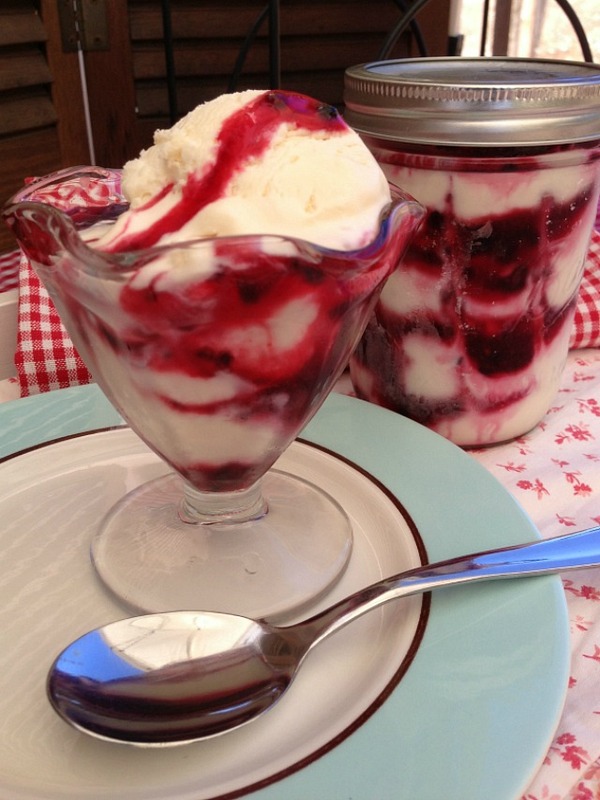 Blackberry marble ice cream: In a wide-mouth, pint-size canning jar, I layered homemade blackberry freezer jam and just-made vanilla ice cream. I inserted a butter knife and drew it up the sides of the jar to create a marbled pattern. Then I froze it. See how pretty? 4. Make up your own: You can add any type of candy, cookie dough, marshmallows, coconut, fruit...the flavor and variety options really are endless. 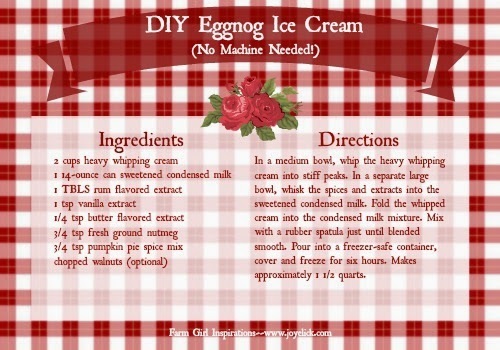 Just add your choice of ingredients to the condensed milk before folding in the whipped cream and you're set. Or try the marbling method just mentioned: How about with chocolate fudge ice cream topping, peanut butter, or any kind of jam. 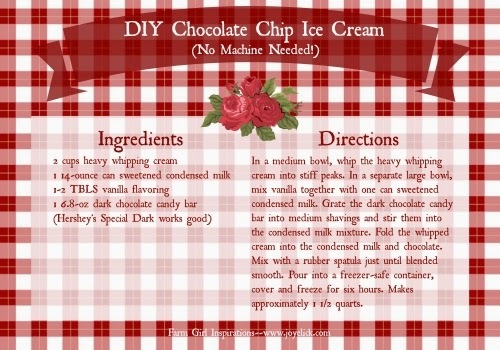 Who knew DIY ice cream could be so easy? Wow Melody Joy, this looks delicious! Definately gonna give this a try. 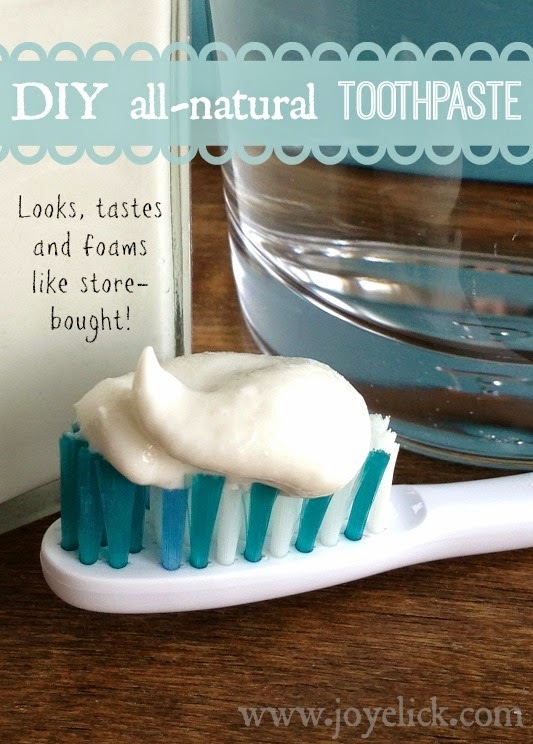 Thanks for sharing this recipe idea with us! You won't be sorry. 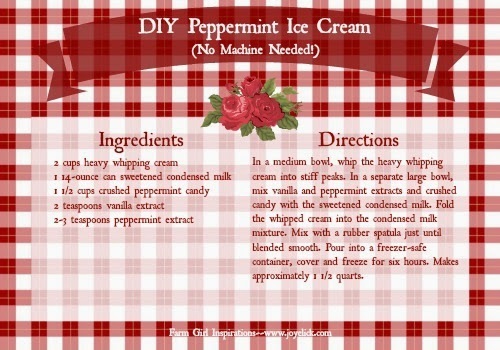 It really is the best and easiest ice cream to ever. My husband loves it, and my sons couldn't believe it was homemade! Hi a question on the malt for the banana. Is it like malt powder? If so, how much do I use? That absolutely does. Thank you so much!